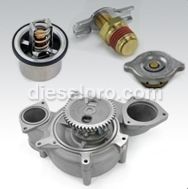 The 16V149 turbo Detroit Diesel engine is a powerful engine that is designed to handle heavy-duty usage. The way that turbo engines like this work is basically by shoving compressed air through the system to cause it to reach higher horsepower than normal, which gives your engine greater power and speed. However, in order to make sure that your engine reaches its potential horsepower, it is essential to keep it properly serviced and maintained. 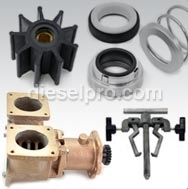 As with all engines, you might periodically have to change some of your 16V149 Turbo Detroit Diesel parts. Your parts might become worn, damaged, or broken, causing them to malfunction or not to work at all. Continuing to use a part that isn't working properly can cause you much more trouble the more you use it. 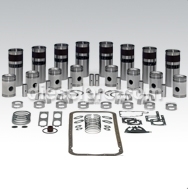 Here at Diesel Pro Power, we have all the Detroit Diesel parts that you could possibly need for your engine. Our selection of 16V149 Turbo Detroit Diesel replacement parts are all specifically designed to work with this model of engine. Placing parts in an engine that aren't designed for it can cause major damage to your engine, either immediately or over time. 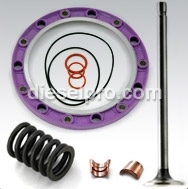 Although other models might seem to fit in your engine, using them is not recommended because even if the engine seems to function fine, the wrong part could be causing internal damage on the engine that will shorten its life expectancy. Don’t go without the parts your need for your 16V149 Turbo when we have everything you need to fix or service your engine here. All our orders ship within 24 hours, and we also offer international shipping.